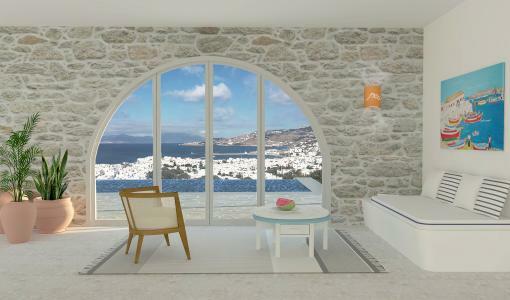 Mimicking Mykonian architecture, the Standard Rooms with Sea or Pool View are a symphony in white-on-white luxury. 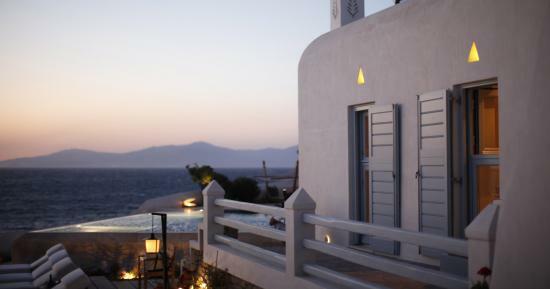 The combination of simple, carefully chosen materials tells a story of island elegance with an urban touch. The sculpted wooden surfaces simulate the sea, a perfect contrast to the pristine, light-filled space. 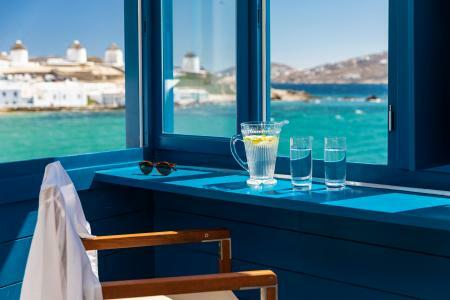 Everything in this luxury accommodation option speaks the same, carefully developed visual language as the rest of the hotel: there is no designer furniture or unnecessary ornamentation in sight and every single detail is intentional. 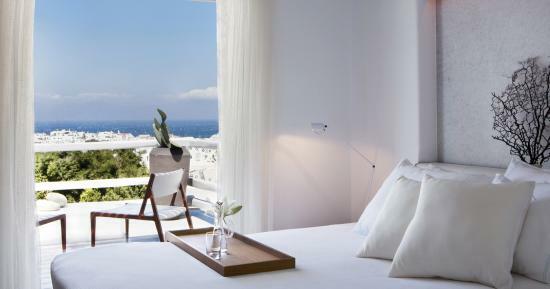 The soft down bedding and marble bathtub pick up on the monochrome scheme, conspiring to keep you from leaving their soft embrace until the turquoise waters inevitably lure you outside. 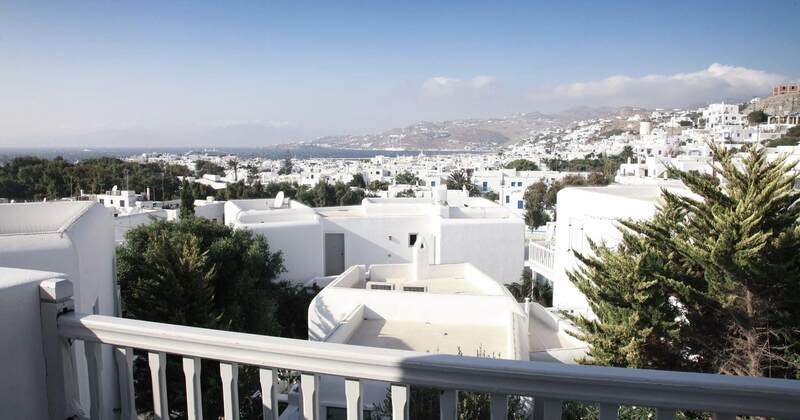 This accommodation option treats the horizon as a natural continuation of the interiors, thanks to the soothing, white terraces overlooking the Belvedere pool or the Aegean Sea.